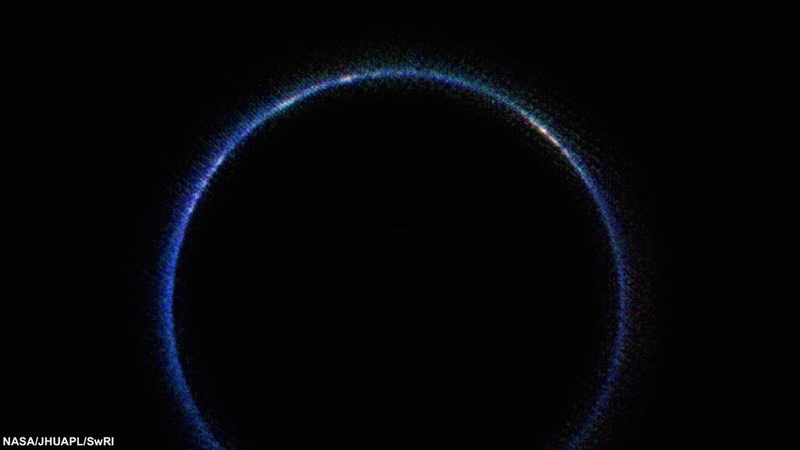 NASA said the blue ring around Pluto is created by sunlight scattering from haze particles in the atmosphere. The haze is believed to be a photochemical smog created by sunlight hitting methane and other particles on the dwarf planet. The white parts in the photo are the result of sunlight bouncing off Pluto's most reflective and smooth areas, according to NASA.